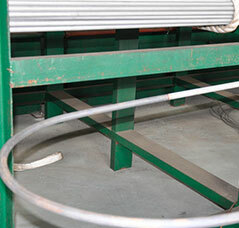 Looking Stainless Steel Heat Exchanger Tubes Manufaturer in India? 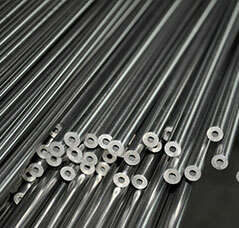 ISO certified distributor of SS Heat Exchanger Tubes in Mumbai, dealer of SS Heat Exchanger Tube in Mumbai, Maharashtra. Best Price ASTM A213 Stainless Steel Heat Exchanger Tubes in India. A heat exchanger is a device used to transfer heat between a solid object and a fluid, or between two or more fluids. The fluids may be separated by a solid wall to prevent mixing or they may be in direct contact. 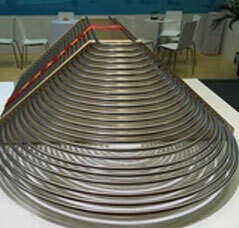 Shell and tube heat exchangers consist of series of Stainless Steel Tubes. One set of these SS tubes contains the fluid that must be either heated or cooled. A third type of stainless steel heat exchanger is a plate and shell heat exchanger, which combines plate heat exchanger with shell and tube heat exchanger technologies. 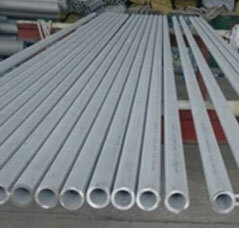 Stainless steel heat exchanger tube is an alloy of steel with excellent corrosion resistance. Compared to other heat exchanger tubes, stainless steel heat exchanger tubes have a lower heat transfer efficiency and is often more expensive. 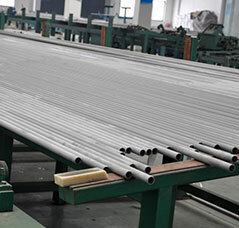 SS heat exchanger tube is best suited for working with corrosive and aggressive heat transfer fluids such as deionized water. Power plants that use steam-driven Stainless steel tube for heat exchanger to boil water into steam. Heat exchangers or similar units for producing steam from water are often called boilers or steam generators. Heat exchangers have lots of other familiar uses too. Engines in cars, ships, and planes use heat exchangers to work more efficiently. 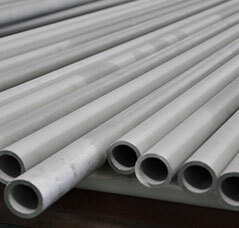 Stainless Steel Heat Exchanger Tubes Stockist, SS DIN Heat Exchanger Tubes, SS Seamless Heat Exchanger Tubes, SS Heat Exchanger Tubes, Heat Exchanger Tubes In India. Heat exchanger Pipes are made from more than 20 steel grades of various corrosion resistance and are intended for application in conditions of a wide range of corrosion environments and temperatures in heat exchanger. This price applicable in India, Saudi Arabia, Bangladesh, United States, United Arab Emirates, Canada, United Kingdom, Indonesia, Israel, Iran, Kuwait, Mexico, Malaysia, Nigeria, Serbia, Singapore, Taiwan, Chile, Mongolia, Venezuela, Ecuador, Netherlands, Brazil, Colombia, Ghana, Iran, Denmark, Poland, Australia, Afghanistan, Bahrain, Costa Rica, Egypt, Iraq, Jordan, South Korea, Kazakhstan, Sri Lanka, Lithuania, Estonia, Finland, Greece, Italy, Japan, Libya, Romania, Thailand, Trinidad & Tobago,Tunisia, Ukraine, Yemen, Hong Kong,Angola, Argentina, Austria, Azerbaijan, Pakistan, Peru, Chile, Spain, France, Gabon, China, Portugal, Switzerland, New Zealand, Sweden, Slovakia, Kenya, Lebanon, Morocco, Norway, Oman, Philippines, Poland, Qatar, Russia, Vietnam, South Africa, Nigeria, Mexico, Turkey, Hungary, Algeria, Belarus, Belgium, Bhutan, Bolivia, Bulgaria, Croatia, Czech Republic etc.